my facebook friends already know this, but I haven't shared the great new over here, yet. I feel honored that I was asked by Penny Black to join their Simplicity Sisters for the next 6 months - woot woot! 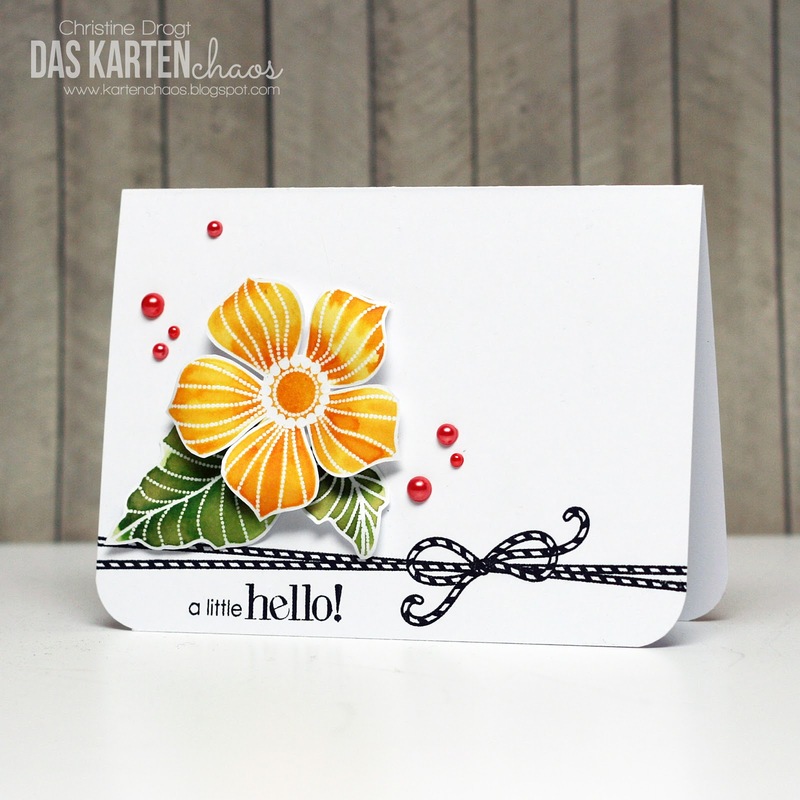 I just love White Mbossing with watercolor and Penny Black has some really gorgeous flower-stamps, so this is - in my opinion - a match made in heaven! stamp the Flower and the leaves with Versamark ink and white emboss them. 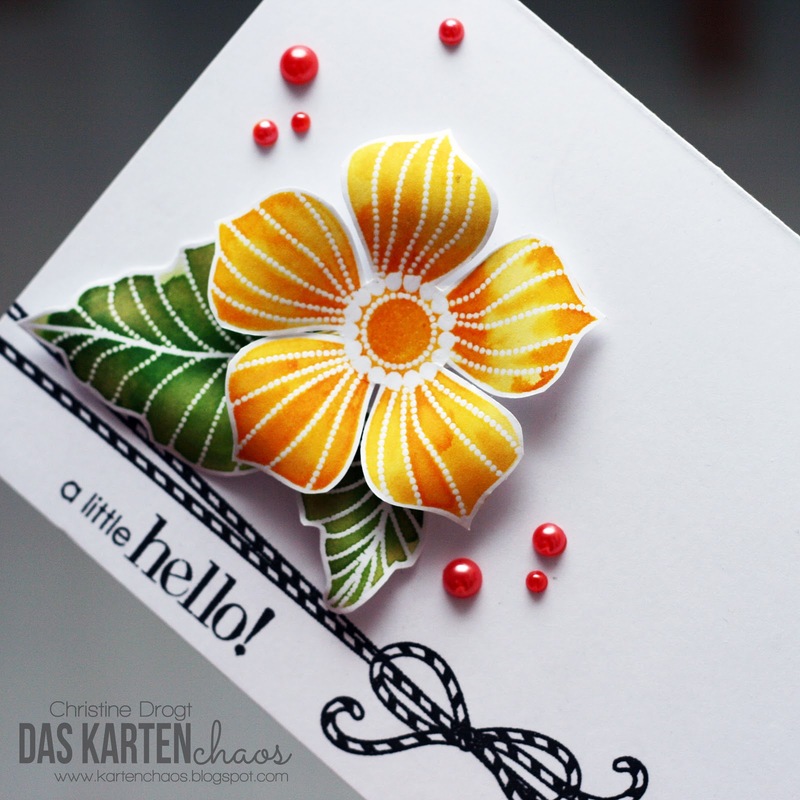 Curling the petals a little up gives much more dimension and interest to the card and makes it look very different from a version with a flat flower. You should for sure try this out! Herrlich!!! Diese leuchtenden Farben. Ich bin ganz hin und weg. So beautiful!!! I Love your colour choice!!! Stunning! !